← New Class: Blast It Out! Some of us might think this is obvious, but I can say from both recent and distant experience, that this is NOT a universal value. Given that the history of yoga — and this country, and really most systems — is fraught with issues of colonization and co-optation, appropriation and assimilation, power and privilege…I firmly believe that to authentically and transparently offer “trauma-informed” or “trauma-sensitive” yoga, we must include some attention to the larger and varied contexts in which this work is happening. And we must be willing to name that those contexts include genocide, annihilation, assimilation, and oppression – both historically AND in the present. Yes, there are people making loads of money not only off of yoga but off of the idea and reality of trauma. Not everyone who is moving in these worlds is willing or able to face the reality that the conditions which propagate trauma are not incidental but utterly intentional. Trauma is more than a car accident or a “natural disaster.” The trauma of poverty and neglect, the trauma of racism and ableism, of Islamophobia and transphobia, these are but a few of the long litany of realities which cause, catalyze, and compound trauma. From one trauma steward to another: if you are looking to offer yourself in the role of a trauma steward, you have a responsibility to do your work to acknowledge and grapple with this. And for those of us seeking learning and leadership around these issues, let us be vigilant in who we give our time, money and resources to. 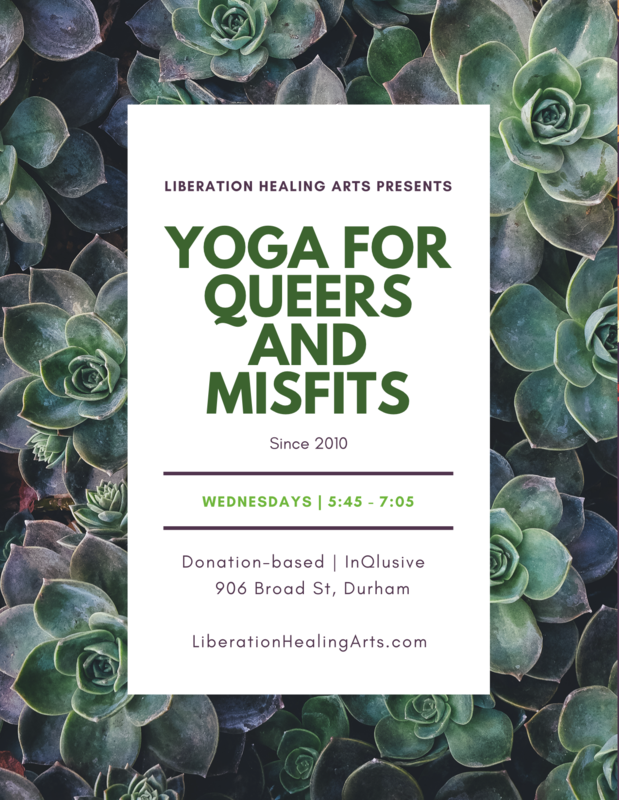 This entry was posted in Uncategorized and tagged accountability, anti-oppression, anti-racism, body positive yoga durham, community-care, durham yoga, fat femme yoga, inqlusive yoga, lgbtq, liberation yoga, patty adams, patty adams yoga, praxis, queer yoga, resilience, resilience-centered yoga, resistance, social justice, solidarity, trauma-informed yoga, yoga, yoga for queers. Bookmark the permalink.